We are inviting you to take part at our Citizenship Day, made possible by a partnership between OneAmerica, the Washington State Chapter of the American Lawyers Association (AILA-WA), and other partners. We are looking for law students to serve as form completers. Law students will have the opportunity to meet one on one with clients to help them complete the N-400 naturalization form – can you help? This is a great opportunity for law students to learn about immigration while serving the 80 or so clients that arrive to our Citizenship Day sites. ABOUT: Washington New Americans, a program of OneAmerica, promotes successful integration by connecting Legal Permanent Residents to the information and services they need to successfully pursue citizenship. Citizenship Days, held in partnership with AILA and community organizations across the state, offer assistance with citizenship applications in 8 cities in Washington State. Last year, more than 375 volunteers supported Citizenship Days and served 531 individuals in 13 cities! Visit our website www.wanewamericans.org for more information. Stokes Lawrence is pleased to offer three $1,500 tuition scholarships to first year students from diverse backgrounds; one at each of the three law schools in the State of Washington. Our goal is to promote opportunities within the profession and to encourage a dialogue around the issue of diversity in the work place. Criteria: The Diversity Scholarships are open to all first year law students of diverse backgrounds who have demonstrated promise for a successful career in law and are committed to community involvement. Materials must be submitted to the appropriate law school no later than April 22, 2016. Please direct questions to diversity@stokeslaw.com. Scholarship recipients will be announced by April 29, 2016. All applicants for the scholarships will be invited to a reception at the Stokes Lawrence law offices in Seattle on May 18, 2016. Three fact sheets summarizing how civil society can engage with U.N. treaty bodies, U.N. Special Procedures, and the Universal Periodic Review. The Toolkit empowers women with disabilities and organizations working on their behalf to use U.N. human rights mechanisms to ensure that the human rights violations women with disabilities experience receive redress and that statements, recommendations, observations, and guidance from the U.N. incorporate an intersectional gender and disability rights perspective. Spring quarter begins! Looking for summer funding or a job? Under the supervision of experienced staff attorneys, law clerks will serve as part of a statewide team of legal services advocates who work cooperatively, with other providers, in bringing high quality representation to indigent individuals and communities. With the Medical Legal Partnership, law clerks will aid three attorneys with legal research, interview and advise clients, and assist in case planning. Law clerks may also help develop self-help materials for pro-se litigants, training materials for staff and clients and work on other special projects depending on the needs of the office. We are now accepting applications for the 2018-2019 Narver Fellow. The application deadline is April 13, 2018. The fellow will receive a stipend to total $6,000 over 6 to 9 months for a minimum of 360 hours, which can be scheduled around the fellow’s classes or other commitments. This position is not eligible for benefits. 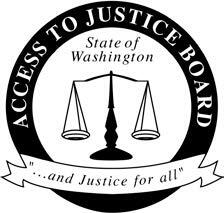 Equal Justice Works is still looking for 1Ls and 2Ls to be part of a summer of service with AmeriCorps JD. While serving in communities across the nation, student AmeriCorps JD Service Members can apply their legal skills and knowledge to provide effective representation for low-income and underserved populations. This year, we’re looking for roughly 500 students to serve on projects focused on veterans, elder abuse, immigration (in NY only) and on civil legal aid generally. 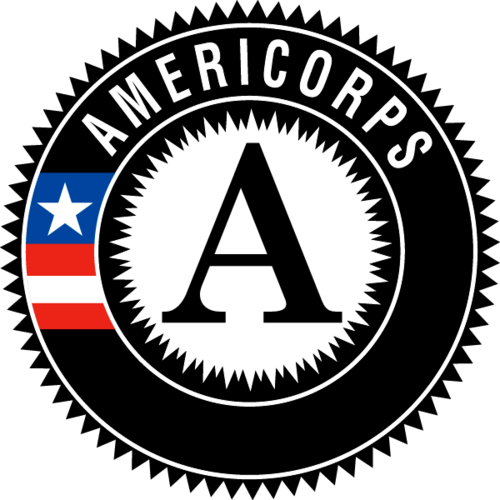 All AmeriCorps JD service members will receive a $1,200 Segal AmeriCorps Education award upon successful completion of the program and are eligible to seek funding from the host or another source up to $4,422. The priority deadline is April 15, 2018. SEIU Healthcare 1199NW is a statewide union of more than 29,000 nurses and healthcare workers across Washington State. We believe that healthcare works best when healthcare employees have a strong voice in decision-making. We are also part of the 2.1 million member Service Employees International Union, the largest, most united union of healthcare workers in the United States. We’re a small legal team (two attorneys, one legal assistant) that services the diverse needs of an ambitious and dynamic labor union. In a typical moment, we have 50+ active legal matters ranging from grievances and ULPs, to advice on contract negotiations, campaign strategy, and internal union matters. Equal Justice Works is finalizing host organization recruitment for the Crime Victims Justice Corps, a new initiative designed to increase access to civil legal assistance and enforce the rights of crime victims. The program will consist of 62 Fellows and 34 law students over a two-year period. Participants will provide legal services, outreach, and education to address legal needs resulting from human trafficking and a variety of civil legal issues arising from victimization, such as family law, education, employment, immigration, and consumer protection, as well as enforcing crime victims’ rights. The Veterans Legal Corps program, provides direct representation to veterans who are homeless or who are at risk of becoming homeless and with eligible military families on issues including landlord tenant matters, problems with disability and other income maintenance benefits, child support, consumer and medical debt, drivers’ license reinstatement, and expungement issues.